A new NASA office pledges to save humans from the fate of the dinosaurs. 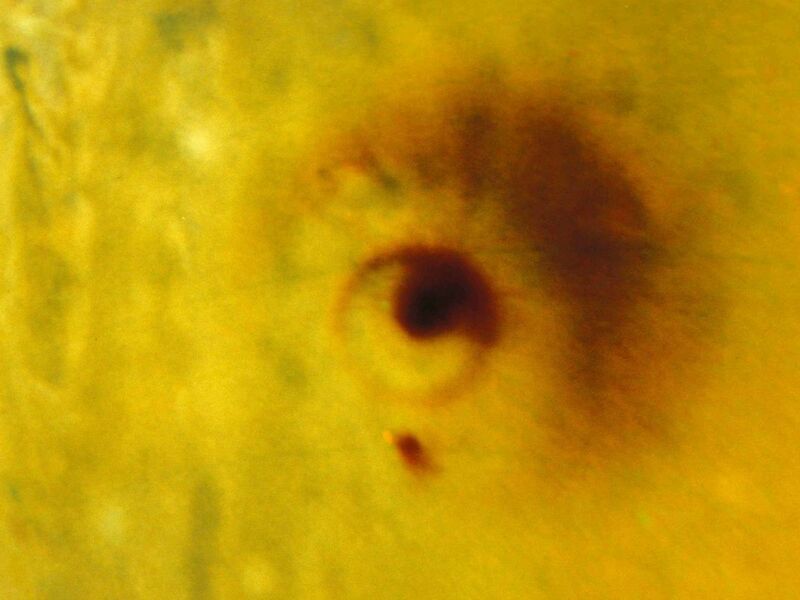 The first hint of an oncoming collision between a comet and a planet showed up in images from Palomar Observatory in California on March 24, 1993. The International Astronomical Union issued an alert two days later announcing the discovery of the comet, soon to be known as Shoemaker-Levy 9, and describing its odd appearance—it had a long, flattened, dense tail. The alert concluded with an offhand remark on its unusual proximity to Jupiter, causing astronomers to hastily begin mapping the comet’s path. 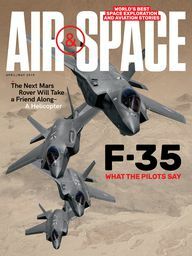 At the time, Lindley Johnson, a U.S. Air Force major, had just accepted a prestigious assignment to study advanced space operations at the Air Command and Staff College in Montgomery, Alabama. Having already served at the North American Aerospace Defense Command (NORAD) and the Los Angeles-based Space and Missile Systems Center, Johnson was an expert in another type of space collision: He had provided collision-avoidance support for the space shuttle program. The year before he attended the staff college, he had been having conversations with Tom Gehrels, co-founder of the Spacewatch program at the University of Arizona, which used telescopes at Arizona’s Kitt Peak National Observatory to track small objects in the solar system. Talking with Gehrels increased Johnson’s interest in a topic that Shoemaker-Levy was about to elevate to the national conversation and the disaster-movie genre: the hazards that potentially millions of small asteroids and comets moving unseen around the solar system pose to planet Earth. Johnson believed then that the technology existed to prevent an asteroid or comet from striking Earth. In early 1994—on the heels of astronomers’ announcement that Shoemaker-Levy was going to slam into Jupiter the following July—he published a paper describing the means to manipulate the trajectory of an object long before it could collide with the planet. His alarm was met with skepticism. The idea that an asteroid would slam into our planet still “had a bit of a giggle factor,” Johnson says. Then the world watched in real time as the comet collided with the biggest planet in the solar system. Over eight days, Shoemaker-Levy’s pieces plunged into Jupiter’s atmosphere in spectacular fashion, leaving marks there that lingered for months. At the time, astronomers thought this kind of event would happen once in a lifetime; since then, observations have revealed that impacts on Jupiter big enough to be visible from Earth, like those left by Shoemaker-Levy, have occurred at least five times since 1994, the latest in 2016. Smaller asteroids are estimated to hit the planet dozens of times a year. The Shoemaker-Levy event, Johnson says, “made [believers] out of a lot of folks” who had been scoffing at the danger. After graduating, Johnson was assigned to Air Force Space Command, where he began advocating for more collaboration with NASA, including a mission that used space surveillance telescopes to search for comets and asteroids called near-Earth objects, or NEOs. In 2003, after 23 years of service, Johnson retired from the Air Force to work at NASA full time. His first job was program manager for the agency’s Deep Impact mission, which sent a spacecraft to study the comet Tempel 1. 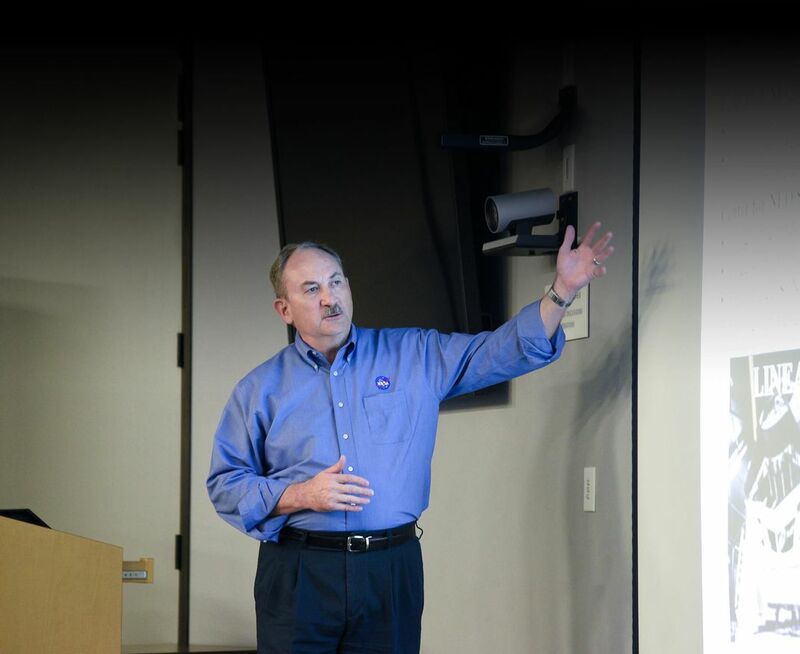 Jim Green says that when he became the head of NASA’s planetary science division in 2006, Johnson was the agency’s only senior manager working on NEOs. “He was my teacher,” Green says. 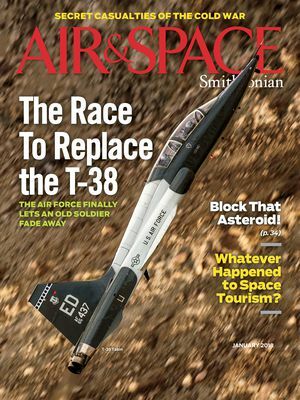 “I thought, ‘Wow, we can’t do lip service here—we’ve got to step it up.’ ” Several years after the Shoemaker-Levy event, Congress directed the space agency to track down 90 percent of all asteroids one kilometer (two-thirds of a mile) or larger in diameter because, according to scientists, objects that size could cause a planet-wide catastrophe. NASA was falling behind. Thanks primarily to Johnson’s advocacy, says Green, funding for programs to detect and characterize the orbits of NEOs has increased in the last decade more than tenfold, to nearly $50 million. In 2011, through its network of partner telescopes—small observatories spread around Arizona, New Mexico, California, and Hawaii—NASA met its goal for finding most large asteroids. In 2005, Congress added a second task: to search for asteroids at least 140 meters (460 feet) in diameter. But the assignment was never adequately funded, and Green says the agency won’t meet the 2020 deadline. Searching a vast, black sky for tiny, dark objects is a particularly difficult challenge. To find the smaller asteroids, Green began looking for a more powerful telescope. In 2009, NASA launched the Wide-field Infrared Survey Explorer, or WISE, a space telescope designed to create an infrared map of the entire sky. Infrared telescopes are particularly good for observing asteroids, which reflect little visible light, but since the atmosphere blocks infrared wavelengths, ground-based telescopes can’t see them. WISE could. At Johnson’s urging, Green secured funding in 2010 to use the WISE telescope in an asteroid hunt. The WISE investigators had been focused only on stars and other objects outside the solar system; they had been discarding data that showed asteroids, so those wouldn’t be mistaken for stars. The first thing the NEO-hunting team did was scrutinize that discarded data to find images of asteroids. In 2011, WISE completed its primary mission, and its observing team put the telescope into hibernation. Green then was able to allocate money to revive it. In September 2013, NASA began NEOWISE, a four-year mission to use WISE to search for NEOs. Astronomers at NASA’s Jet Propulsion Laboratory proposed a follow-up mission that would launch a new space telescope called NEOCam. It hasn’t officially been selected for launch, but its development continues to receive funding. After starting NEOWISE, Green says he tried to find whatever money he could to increase asteroid detection and defense. “The Obama administration was very keen on doing this, which we were just delighted with,” but Green also says there was a tension because the administration kept recommending decreases in funding for planetary science while asking that more money be put into the department’s NEO activities subfield. These efforts coalesced in 2015 as the Planetary Defense Coordination Office, with Johnson at its head. (This is a different office, by the way, than NASA’s Planetary Protection Office, whose duty is to protect other planets from being contaminated with Earth microbes that might hitch a ride on our spacecraft.) With six program officers, most of whom spend only part of their time working for the office, it manages all of NASA’s programs that detect, track, and characterize NEOs. 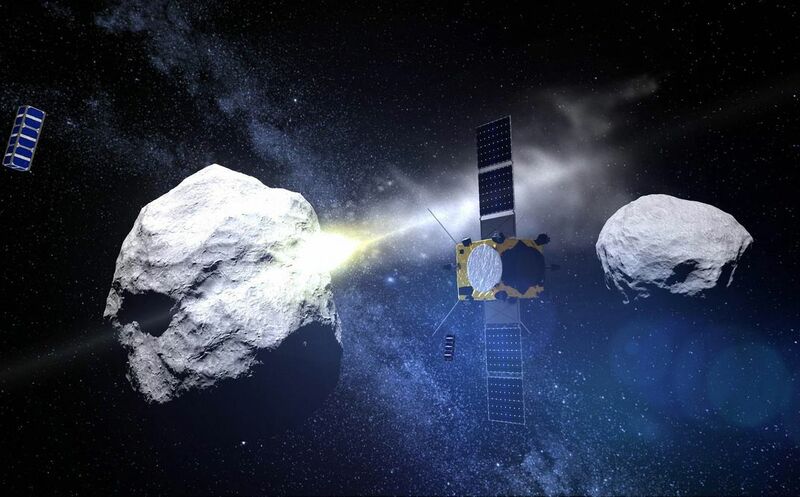 It also helps develop missions to move asteroids out of Earth’s path and to create strategies for dealing with an impact if one can’t be avoided. The office is the hub for related U.S. agency programs and international efforts. If a threatening asteroid is discovered, it’s Johnson’s responsibility to get that information from telescope staff up through the NASA chain of command and then to the White House and other agencies. The Planetary Defense Coordination Office connects the efforts of hundreds of people spread across the globe concerned with preventing another extinction event, like the one that wiped out the dinosaurs. If an asteroid is discovered to be on a collision course with this planet, how would Johnson’s team jump into action? 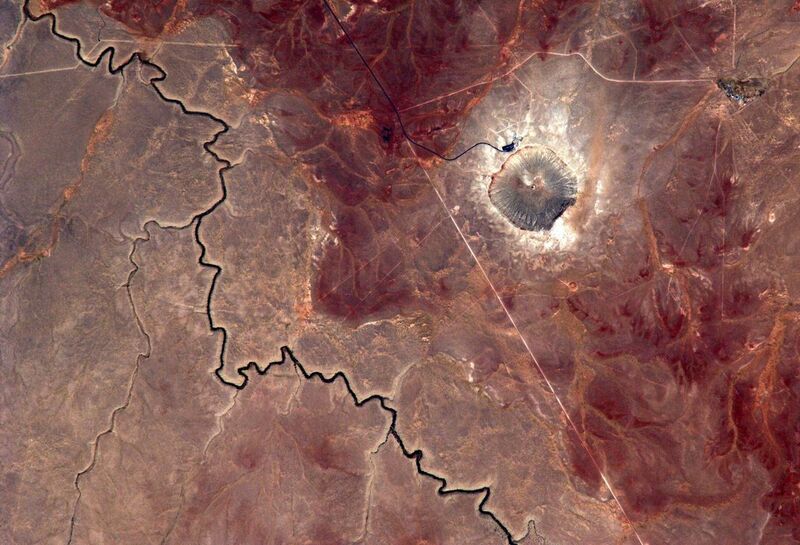 Ideally, the members would implement a plan to divert the rock before it reaches Earth. The best potential demonstration of an asteroid-steering mission is the Asteroid Impact and Deflection Assessment mission, or AIDA, an international collaboration to send spacecraft to an asteroid and test the kinetic impact technique—that is, slamming something into a rock to divert its trajectory enough that it bypasses Earth. AIDA is based on the best-case scenario: We find an asteroid headed our way, slam a spacecraft into it, and nudge it off course. But what if we discover the asteroid too late to intercept it? Or what if we intercept it, but the nudge doesn’t work? NASA would need a plan to save as many people as possible. Mitigating the effect of an asteroid impact requires an almost incomprehensibly large action plan, one that begins when there’s just a one percent chance of an asteroid impact. Although that seems low, says Johnson, “if we were to wait until it was certain, it would most likely be too late to adequately prepare.” NASA would inform the White House of any one percenter, updating that information as the asteroid’s orbit is better understood. Once the probability of a hit rises over one percent, NASA, on the president’s order, would inform Congress and appropriate the federal agencies, starting with Federal Emergency Management Agency, if the asteroid had any likelihood of hitting U.S. territory. FEMA’s disaster teams have conducted three exercises with the planetary defense office, using varying times to impact, to practice responses to “the types of hazards and situations that may occur in this unique, low-probability—but high-consequence—disaster,” says Stephanie Moffett, a public affairs officer for the agency. If the impact was likely to be elsewhere, NASA would work with the Department of State, which uses protocol created by the International Asteroid Warning Network, an organization that operates under United Nations approval. Luckily for us, no searches have turned up asteroids that have even a one percent probability of hitting Earth, but that could change on any day. June 19, 2004, was almost that day, when astronomers at Kitt Peak National Observatory discovered asteroid 99942 Apophis, and calculations of its orbit determined there was a small chance of it slamming into Earth in 2029. Subsequent observations to fine-tune its path eliminated that probability, though it will still pass by at just 19,400 miles away, closer to Earth than the orbit of our geosynchronous satellites. Also worrisome is that its close brush by Earth will slightly alter its course. Astronomers are fairly certain we’re still in the clear, but they’ll be keeping a close eye on it as it approaches for its next pass in 2036, and its return in 2068. 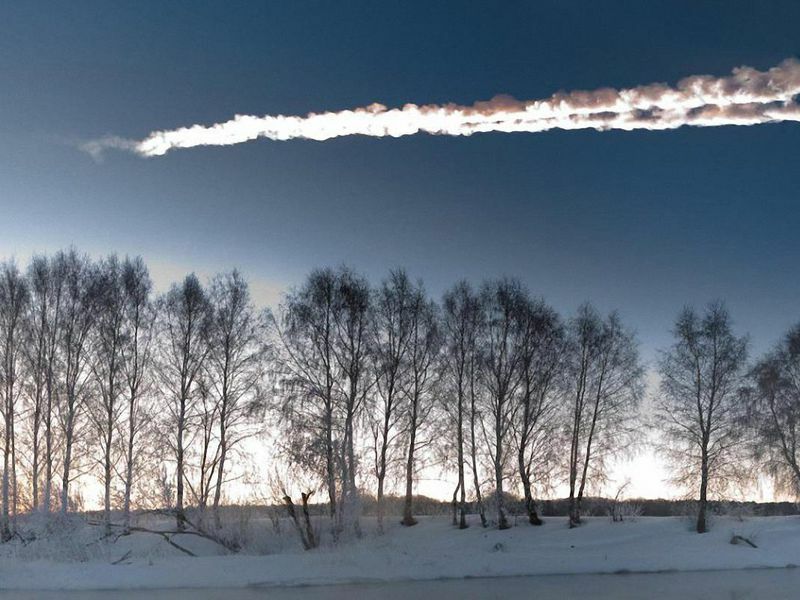 If the 1,200-foot rock hit the planet, it would cause an impact about 160 times more powerful than the 1908 Tunguska event, which flattened almost 800 square miles in eastern Siberia. The planetary defense office already conducted one live trial of its observation systems, when on October 12, 2017, a rock a few dozen feet in diameter called 2012 TC4 came within 27,200 miles of Earth, 10 times closer than the moon. Not long after it was discovered in 2012—but luckily after astronomers confirmed it was not on a collision course—the asteroid, traveling away from us, became too dim to observe. Johnson’s team led the effort to re-establish observations upon its predicted return last summer, and in late July, astronomers at the Very Large Observatory in Chile found it on approach, 38 million miles away. Telescopes around the world coordinated to make careful observations that would tell astronomers more about its exact size and shape, confirm its orbit, and track it as it neared—and passed by—Earth. Johnson is relieved that so many people are starting to take seriously the threat he’s been warning about for decades. Now that he has a small division at NASA behind him, he hopes a full-scale plan to foil an asteroid on a collision course with Earth—including a spacecraft ready to launch on demand—will be ready in time. “It’s something that, with today’s technology, doesn’t have to be an act of God anymore,” he says. “It’s something we can prevent.” If the sky does fall one day, we’ll be glad we listened.